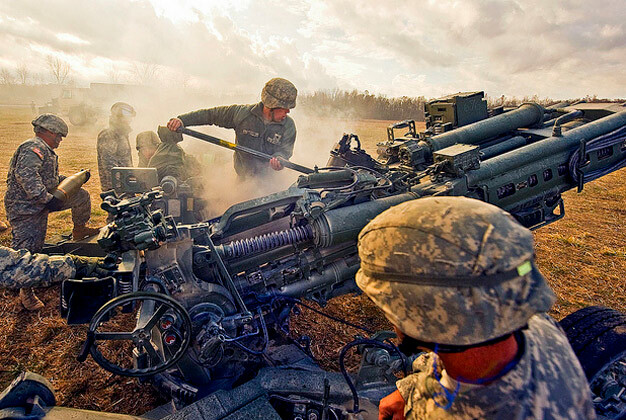 Indiana National Guard Soldiers of Battery A, 2nd Battalion, 150th Field Artillery Regiment, headquartered in Greencastle, Ind., work together to smoothly execute a fire mission using their M777 Howitzers at Camp Atterbury Joint Maneuver Training Center in central Indiana, Thursday, Nov. 4. The Indiana Guard is one of the first states to be issued this piece of equipment. Photo via U.S. Army.